Apple is about to launch two new versions of iPad tablet computers in January, as surfaced in media reports. Both new versions will have 9.7 inch screen as similar to current iPad2. But the resolutions have been increased to 1,536 x 2,048 pixels in new versions. The new iPads will run on Apple's quad-core A6 chips as opposed to the dual core A5 chips in the previous versions of the iPad 2. 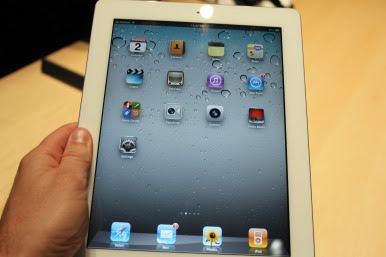 The new iPads are scheduled to be inaugurated at the MacWorld and iWorld conference on January 26.